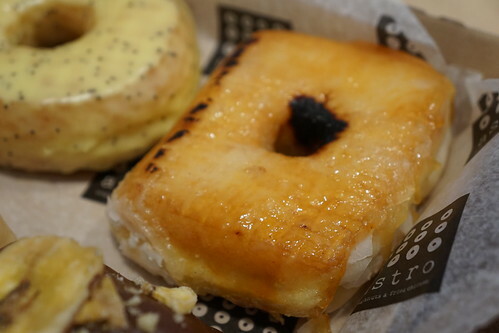 One of Astro's more popular donuts, and one that was listed as one of America's best is the creme brulee doughnut. 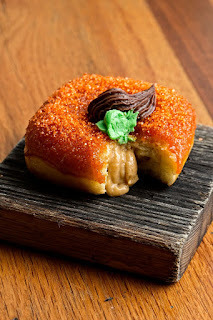 You get the crunchy bruleed sugar as the glaze and it is filled with custard - definitely worth trying. I'm also a big fan of the PB & J, which was pleasantly not too sweet and topped with peanuts. 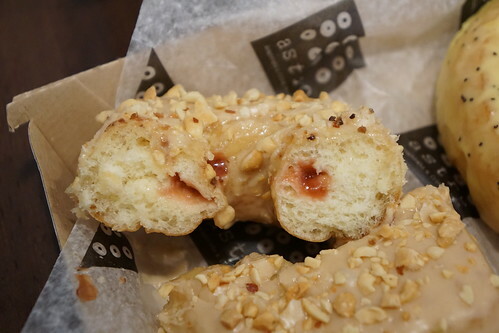 The texture of the yeast donut itself was just right, pillowy with the right amount of chew. Astro's also sells fried chicken and wings, which shouldn't be missed. Our favorite was the Korean BBQ Wings. 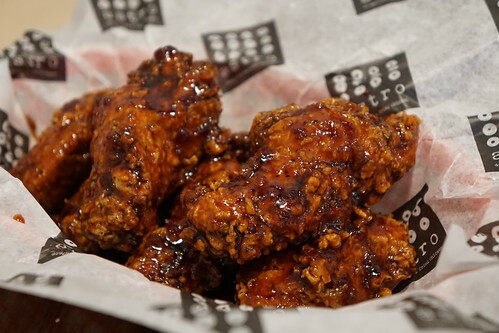 The batter on the wings was nice and crispy, and the sweet and spicy sauce was quite addicting. 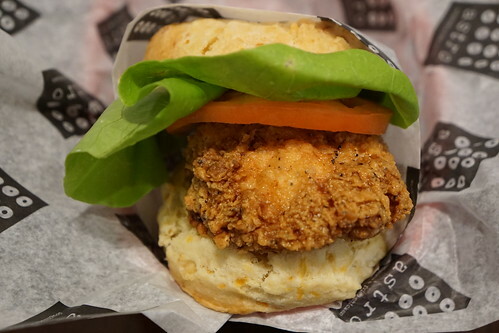 They have fried chicken sandwiches, which you can opt to have on a donut or a biscuit. I wanted to mix things up a bit and had it on a cheddar biscuit. 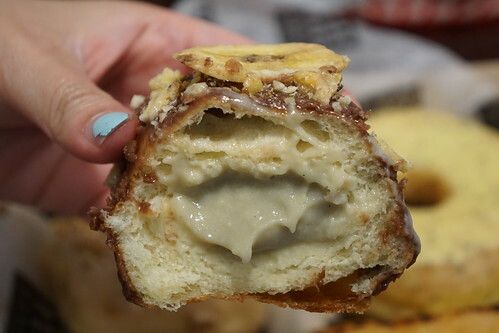 Next time I have to try it on a donut! Astro often has seasonal flavors - you can get the pumpkin pie doughnut or candied apple through the end of this month. 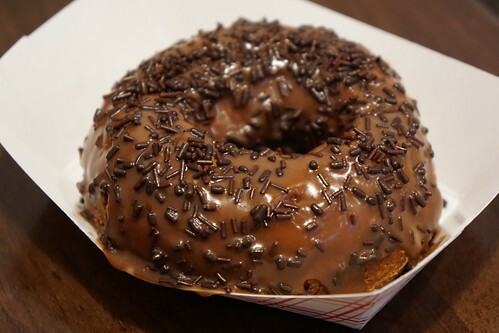 Even though LA already has quite a few of good donut shops, I say we can't have too many, especially when they all focus on different specialties and flavors, right? 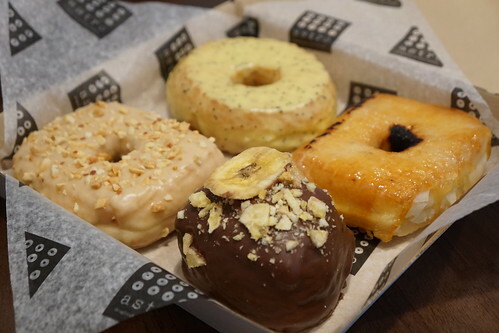 Astro's doughnuts are definitely a strong contender as one of the city's best and the hot made-to-order donut is a great option to have! Grab a dozen plus some sriracha wings and you have yourself a great party.